An order from Air Niugini announced on Friday for four Boeing 737 Max 8 aircraft worth about US$440m set the seal on the business side of the 2016 Singapore Airshow. Friday was the last of four trade days, with public days and flying displays taking over on Saturday and yesterday. The gloom that threatened to overshadow the show after poor economic forecasts for the South East Asia region failed to materialise as the gathering got under way, although order activity, mirroring the last Dubai Airshow, was said to be quiet as many buyers adopted a wait-and-see policy. The general tone was set, however, after organiser Experia Events announced the event, held at the Changi Exhibition Centre, had received “a strong vote of confidence” with more than 1,000 companies from 50 countries all confirming their attendance. The Air Niugini order was the last of 50 to be signed, most of them for military and business aircraft, during the trade days. Values were mostly not revealed, but 11 of the orders were said to be worth a total of US$12.7bn. 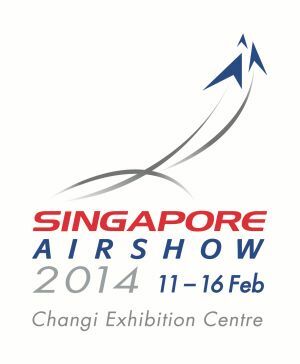 The previous Singapore Airshow in 2014 saw 44 deals signed with the 20 that had a value put on them said to be worth US$32bn. In the other big order news, Philippine Airlines signed a memorandum of understanding to acquire six A350-900s, with options for another six, and Chinese carrier Okay Airways committed to up to 20 B737s worth US$1.3bn. The PAL deal reflects the airline’s plans to expand into Europe and the US and is valued at US$1.8bn, with the first of the 300-seat, three-class A350-900s scheduled to be delivered by the end of 2018 and two more in the first half of 2019. The Okay Airways package includes firm orders for eight 737 Max 8s, three Max 9s and one 737-900ER, plus options for another eight Max 8s. Elsewhere, total orders for the Airbus A330neo have reached 186 after Airbus said it had secured commitments for 14 of the model, all of them for the Dash-900 version. The customer was not revealed, although whether for political or contractual reasons was not disclosed. All but 10 of the order total of 186 are for the larger model of the aircraft. Also prominent in Singapore was Bombardier, whose CS100 in the bright red-and-white livery of launch customer Swiss was a star of the static display. The aircraft, which is about to start a world tour, was making its first appearance at an airshow since certification in December. The C-series enters service in the second half of this year. Whilst concern about national economies was a factor, the week was underpinned by forecasts that South East Asia will need 3,750 new aircraft worth US$550bn over the next 20 years. In an eve-of-show press conference, Dinesh Keskar, Boeing’s regional senior vice-president for Asia Pacific and India sales, said 76% of these would be for single-aisle aircraft such as the Boeing 737 and Airbus A320, with demand driven largely by low-cost carriers and market growth in Indonesia, Myanmar and Vietnam. Next year, when Singapore's Changi Airport Terminal 4 opens, it will herald Asia's first full self-service pre-flight check-in, using biometric and facial recognition technology. As well as checking in for your flight via your phone or smart device, you will be able to print your own boarding pass, tag and drop your own luggage, and clear immigration, all without dealing with another human being until you get on the aircraft. South East Asian passenger traffic has grown by more than 9% since 2010, with intra-Southeast Asian traffic projected to increase by 7.7% over the next 20 years. The Asia Pacific region as a whole will absorb 14,550 aircraft, more than a third of the 39,050 aircraft that are required globally, according to Boeing's forecast.